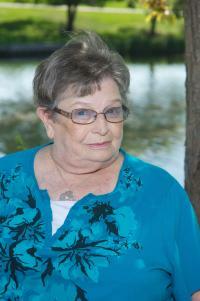 It is with heavy hearts that we announce the passing of our mother, grandmother, and great-grandmother, Bobbie Hanley at the age of 78 on Thursday, November 9, 2017. Bobbie will be lovingly remembered by her children, Gary (Claudine) Stetar, Karen (Rod) Erickson, Tracey (Todd) Hirsch; grandchildren, Courtney (Joanne), Sheldon, Tyson, Austin, Carsen, Mitch, Megan, Branden, and Jordan; great-grandchildren, Katyanna and Kaine; one sister, Joan Ascroft; as well as many other nieces, nephews, relatives and friends. She was predeceased by her parents Robert and Olive Hanley; as well as her sister Elaine Lawson. In lieu of flowers, memorial donations may be made to the Alberta Lung Association, or to the Alberta Heart and Stroke Association.